Sportsnet, TVA, and ESPN have been awarded the exclusive media rights to the 2016 World Cup of Hockey. NEW YORK/TORONTO (March 4, 2015) – Sportsnet has been awarded the exclusive English-language media rights in Canada and TVA Sports the exclusive French-language media rights in Canada to the 2016 World Cup of Hockey, the National Hockey League (NHL®) and National Hockey League Players’ Association (NHLPA) announced today. The deal covers all tournament games – round-robin, semi-final and the best-of-three final – for the 2016 tournament and includes television, online and mobile rights. The World Cup of Hockey will be played at the Air Canada Centre in Toronto Sept. 17 – Oct. 1, 2016. Eight teams, comprised of the world’s best hockey players, will compete for a best-on-best international hockey championship. "The 2016 World Cup of Hockey will be a spectacular moment for our League and our players," NHL Commissioner Gary Bettman said. "We know Sportsnet and TVA will capture the excitement, the drama and every moment of what will be outstanding hockey for our fans across Canada." The eight teams participating in the 2016 World Cup of Hockey will include Team Canada, Team Czech Republic, Team Finland, Team Russia, Team Sweden, Team USA, Team Europe and Team North American Young Stars. The teams will be divided into two Groups of four, and each will compete in three tournament games within their assigned Group in a round-robin format. The top two finishers in each Group will advance to a single-game semi-final against a team from the other Group. Winners of the semi-final games will advance to a best-of-three final round. It is expected that more than 150 of the best players in the NHL will participate in this tournament. NEW YORK/TORONTO (March 4, 2015) – ESPN has been awarded the exclusive U.S. media rights to the 2016 World Cup of Hockey, the National Hockey League (NHL®) and National Hockey League Players’ Association (NHLPA) announced today. 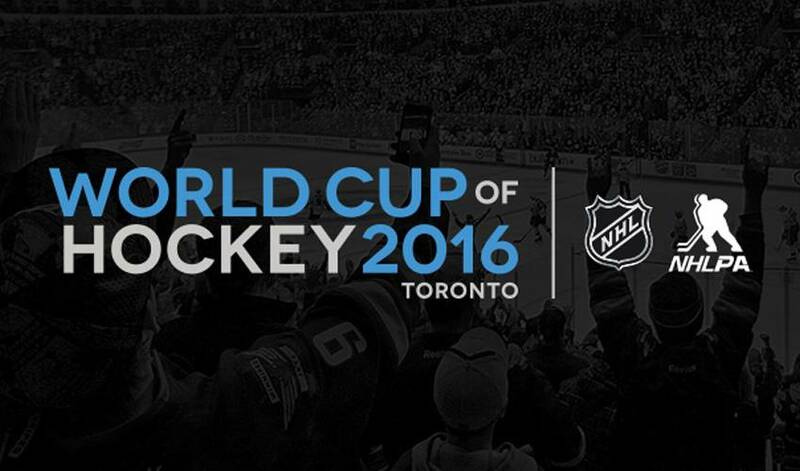 The World Cup of Hockey will be played at the Air Canada Centre in Toronto Sept. 17 – Oct. 1, 2016. Eight teams, comprised of the world’s best hockey players, will compete for a best-on-best international hockey championship. The deal covers all tournament games – round-robin, semi-final and the best-of-three final – for the 2016 tournament and includes exclusive rights on television and radio, with most games to appear on ESPN and ESPN2. ESPN International gains the exclusive rights in over 20 countries served by its Pacific Rim and Latin North networks. Additionally, live access to coverage of the event on ESPN networks will be available through WatchESPN on computers, smartphones, tablets, Amazon Fire TV and Fire TV Stick, Apple TV, Chromecast, Roku, Xbox 360 and Xbox One via an affiliated video provider. "ESPN broadcast the prior World Cup of Hockey, from Air Canada Centre. Now the World Cup is returning, with ESPN broadcasting in the U.S.," NHL Commissioner Gary Bettman said. "We are very pleased and hope our fans will be, as well." Further details on the 2016 World Cup of Hockey will be released at a later date.